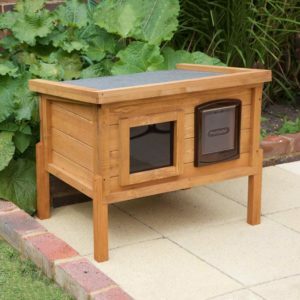 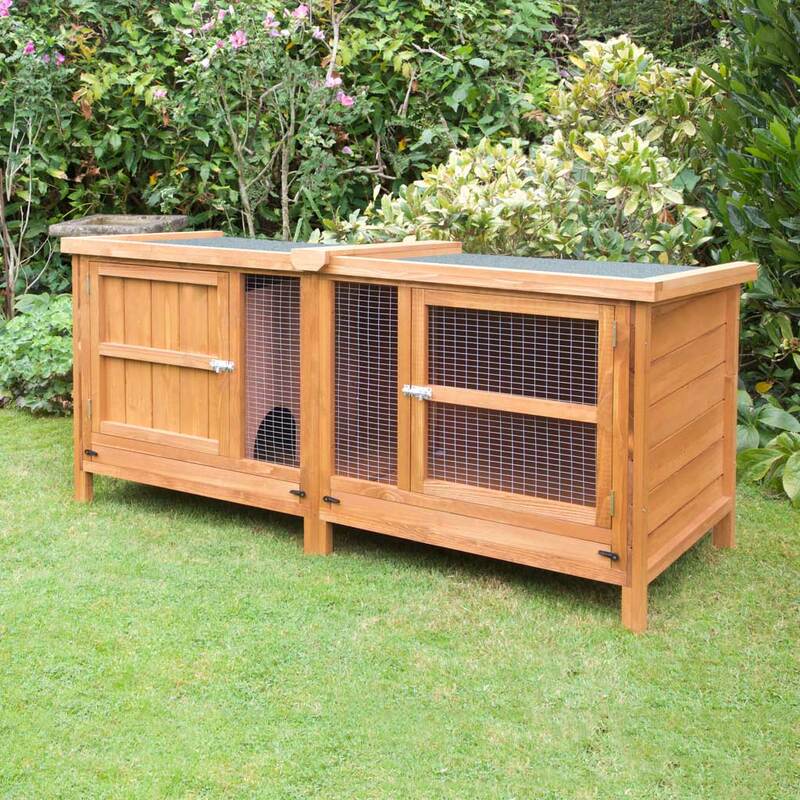 Single tier rabbit hutches like this Chartwell Single are built to house up to two small pets. 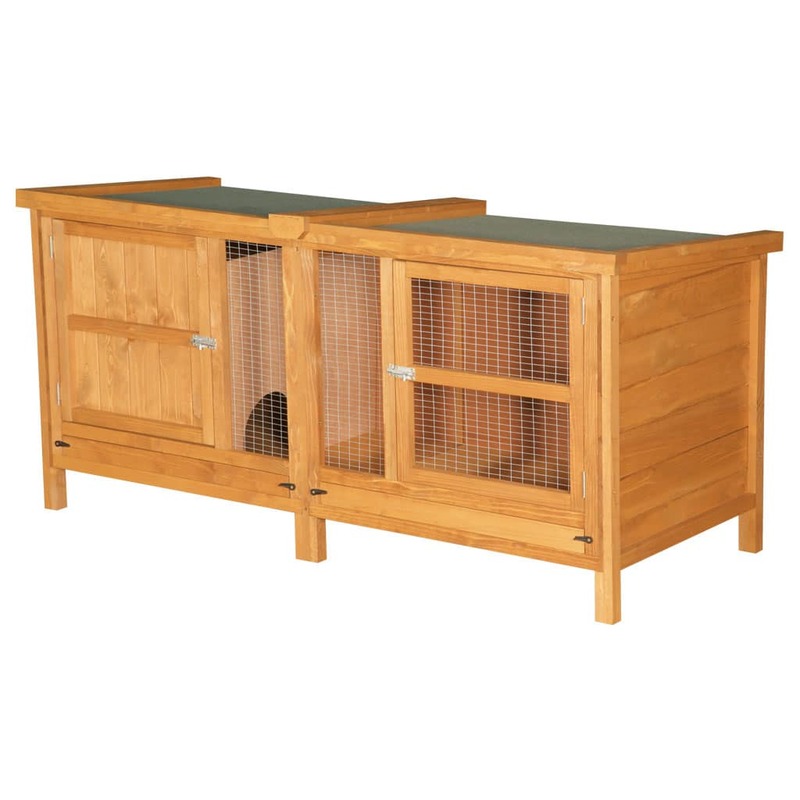 Unlike other single rabbit hutches, ours come with nearly 2 feet of ceiling height and 2 feet of depth. 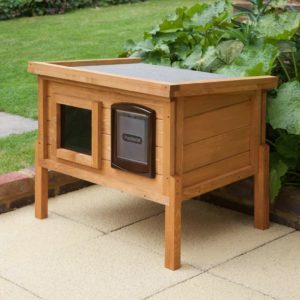 Perfect for the beginner or a present for young children. 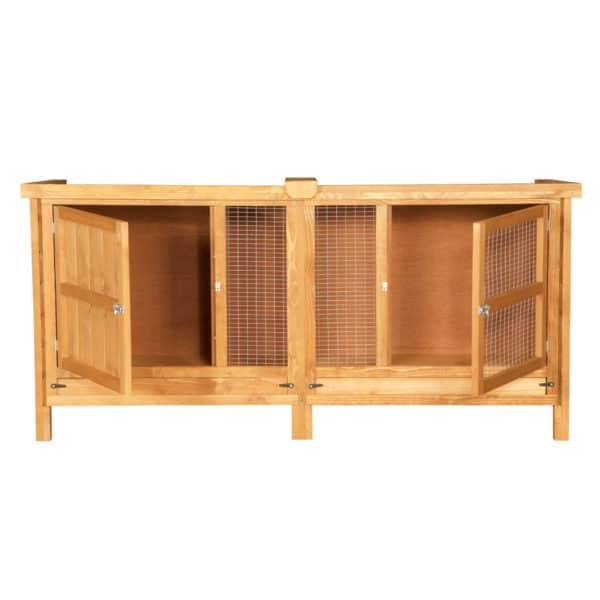 A single level hutch is an excellent entry into the world of responsible small animal keeping. 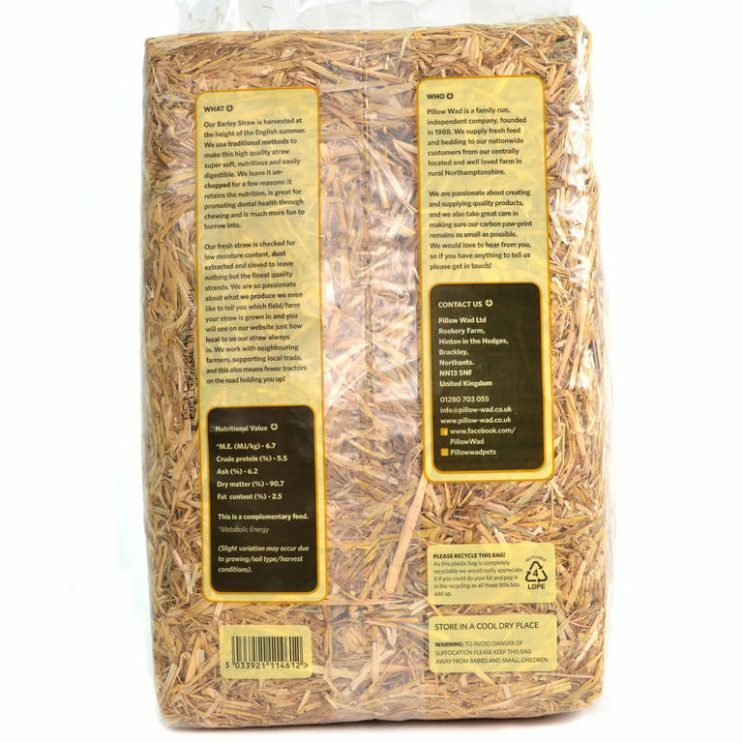 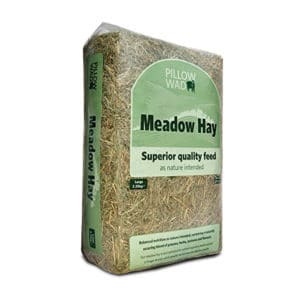 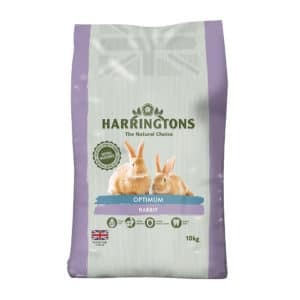 Our Chartwell Single range is popular with animal lovers who expect high quality and space but in a single tier hutch. 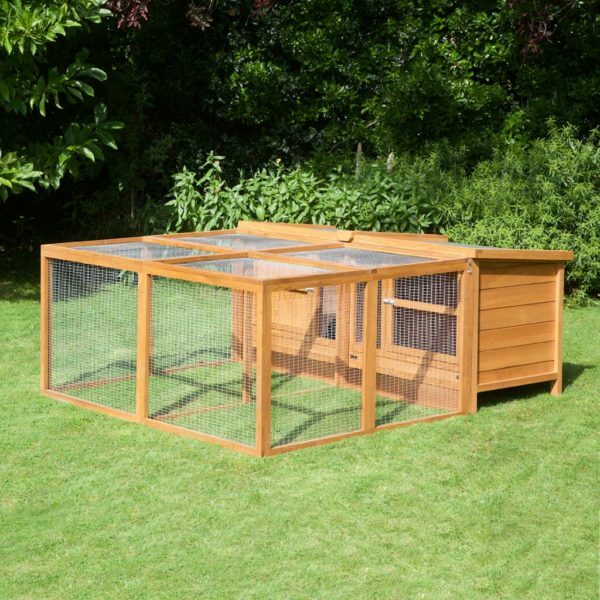 The 6ft Chartwell Single is by far the finest on the market in this range. 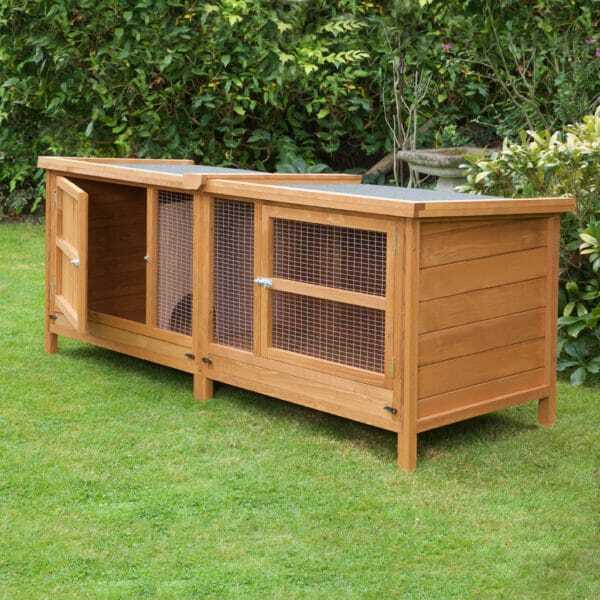 Single hutches are perfect for parents, who are teaching the children responsible pet ownership. 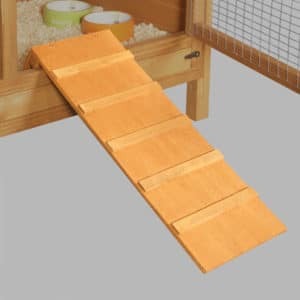 The height allows them access with less effort and over time makes bonding with their pets easier. 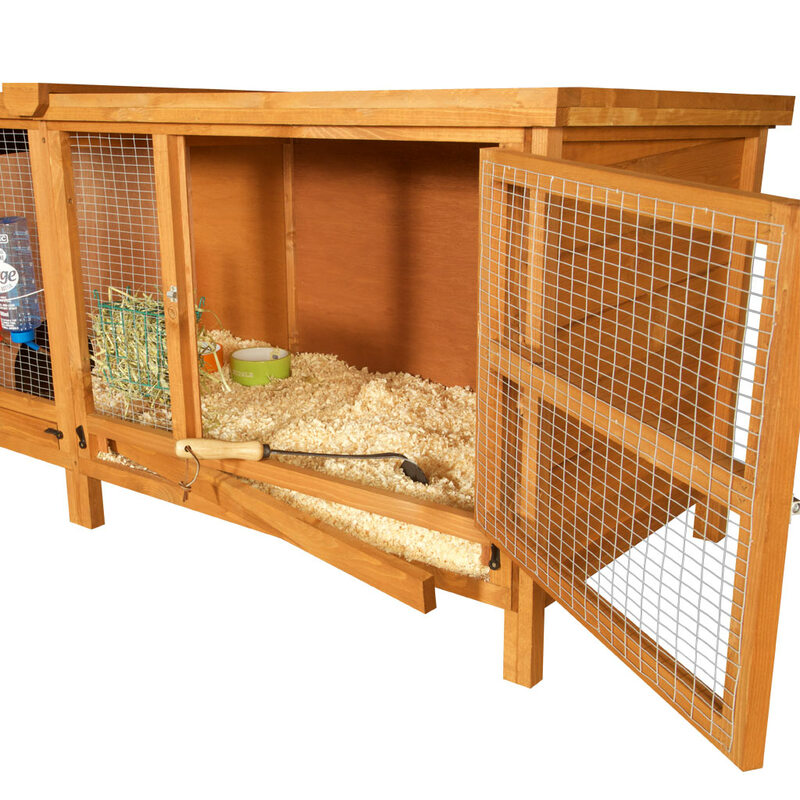 If you have more experienced with pets, you’ll appreciate the extra space and rock-solid design. 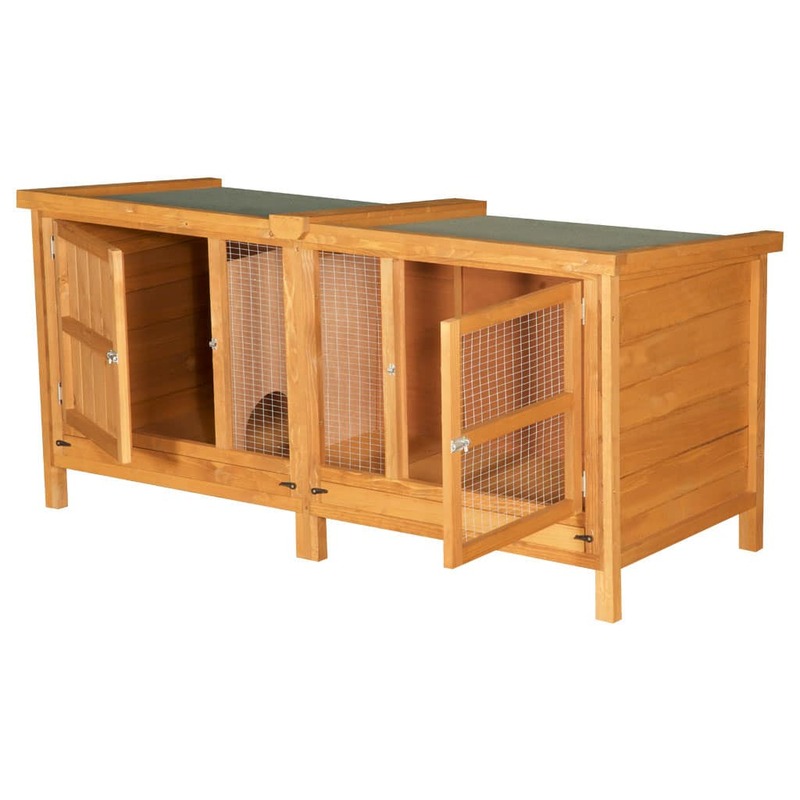 Two Run options are also available extending the space for your pets even more. 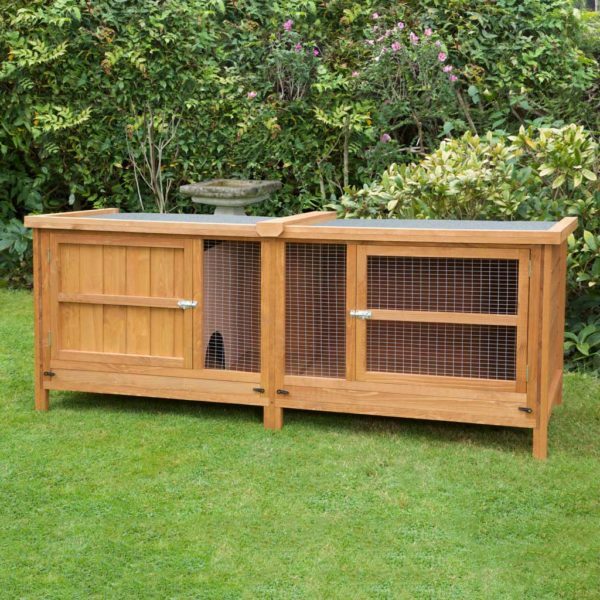 Although the 6ft Chartwell Single Rabbit Hutch offers a huge amount of living space, cleaning doesn’t have to be a chore. 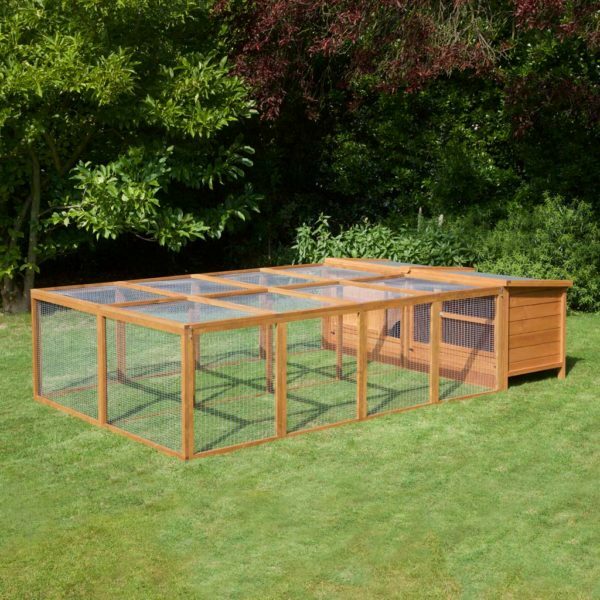 All Chartwell hutches come with a handy under door cleaning bar. Just twist the two toggles and remove the bar stopper. 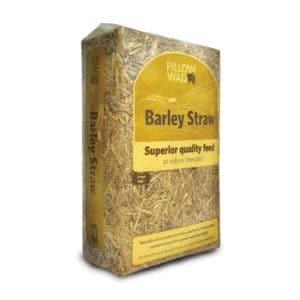 Then merely sweep the waste through the gap into a bin or container. 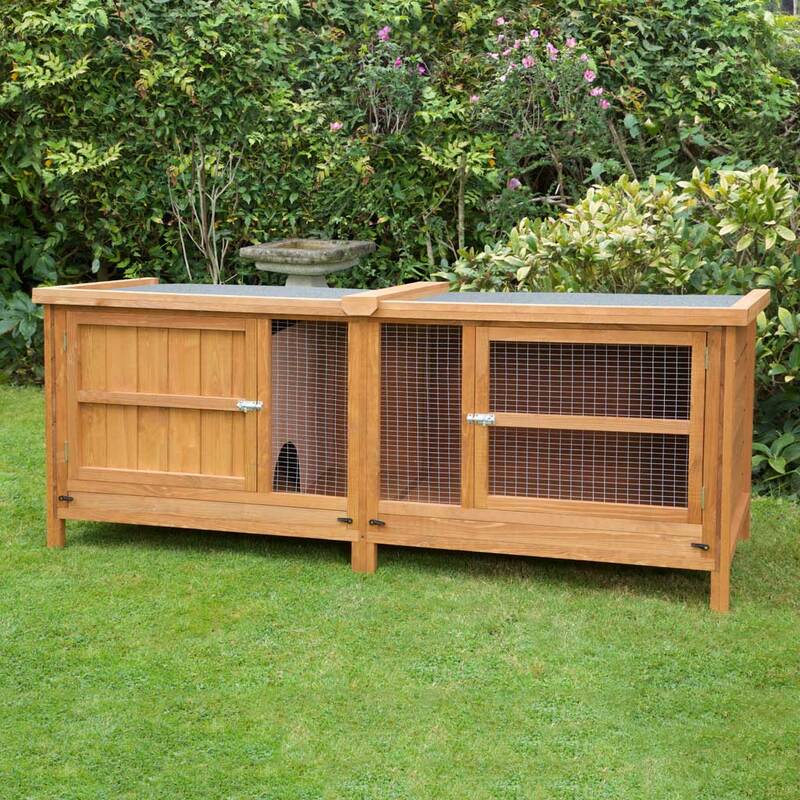 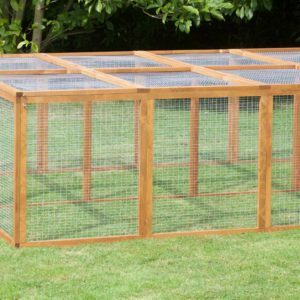 All Chartwell Single Rabbit Hutches are manufactured in the UK using 10mm Scandinavian Tongue and Groove wood for the side panels and the sleeping doors. 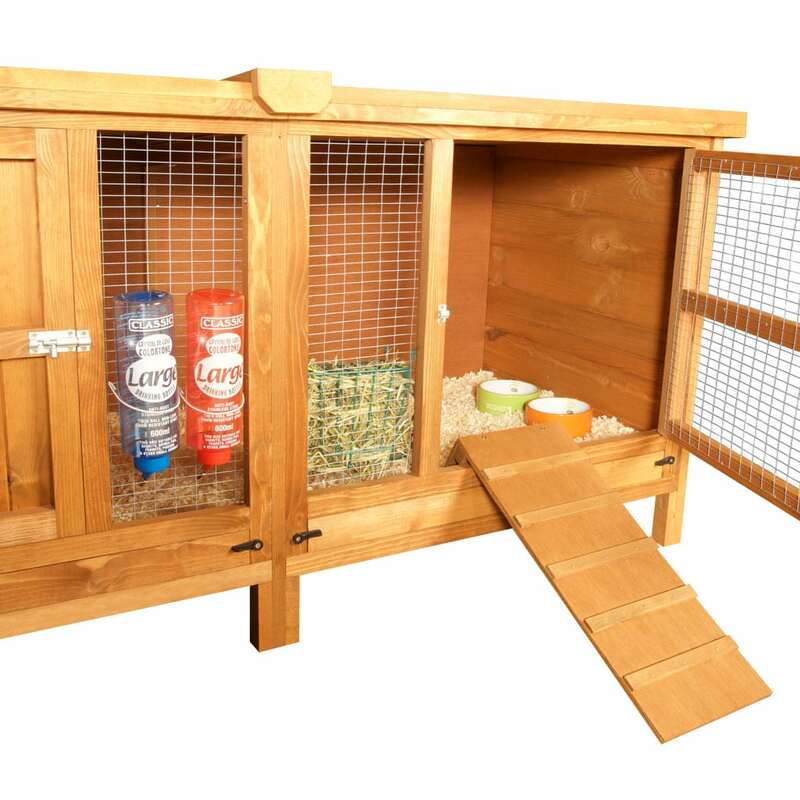 The floors are also made from thick 10mm construction Grade WBP Ply Wood. 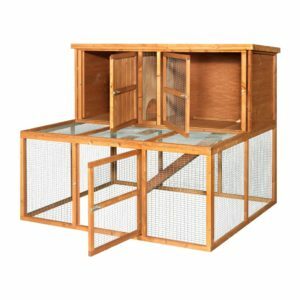 A wired central section on each level is perfect for hanging water bottles, toys and boredom busters. To prevent rising damp integral legs on the sides and centre have been designed to lift the hutch off the ground and ensure adequate air circulation. The 6ft Chartwell Single is securely packaged and delivered flat-packed in one box. 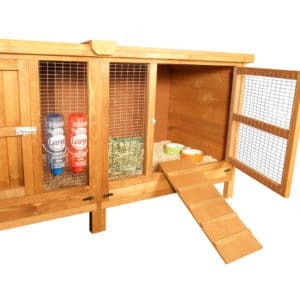 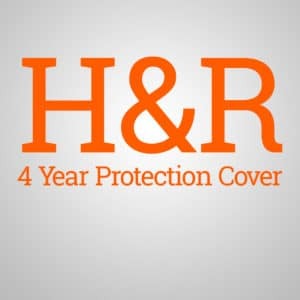 A pack including an easy to follow instruction manual, the correct amount of screws and a little special gift is also included.